A new Irish product was just launched Aldi stores throughout Ireland and I was given a gorgeous hamper of samples to try. 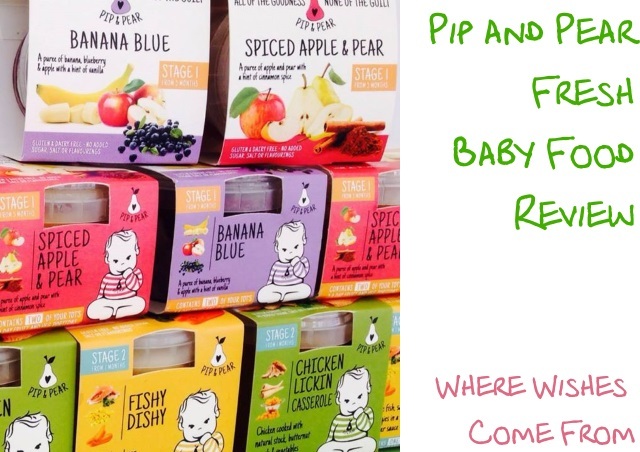 Pip and Pear Chilled Baby Food is the brain-child of Irene Queally who, as working mother found it difficult to juggle all that life with young children can throw at you and manage to feed them healthy home-cooking everyday too. She became frustrated with the long shelf-life pouches and jars and wanted something better for her babies. 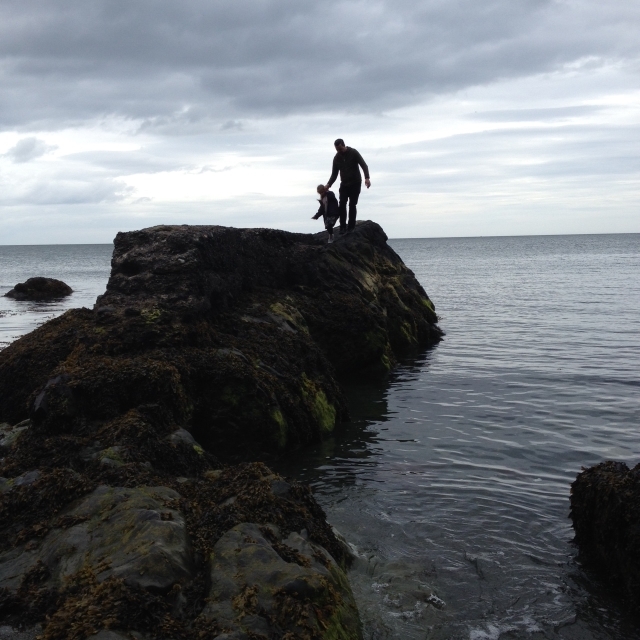 Late at night, in her family restaurant, No.9 Barron Strand in Waterford, Irene began making small batches of her own baby food and eventually started selling it in the restaurant. It was a huge success locally, won a couple of national awards and so she was inspired her to take the brand further. The gorgeous guinea pig - baby Tommy. 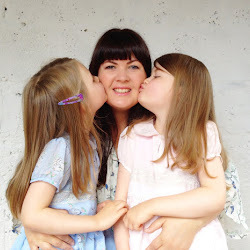 Because I have no babies in my house anymore (sniff), I asked my sister to allow my darling nephew Tommy and his big sister Elsie to be my guinea pigs for this review. 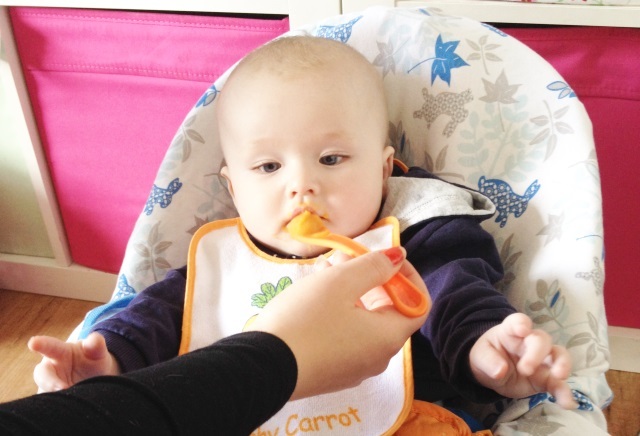 Tommy is five months old and has just started eating solid food so he was the perfect choice to try the Stage 1 pots while his sister Elsie, almost three, tried out the stage three pots which are suitable from age 10 months on. 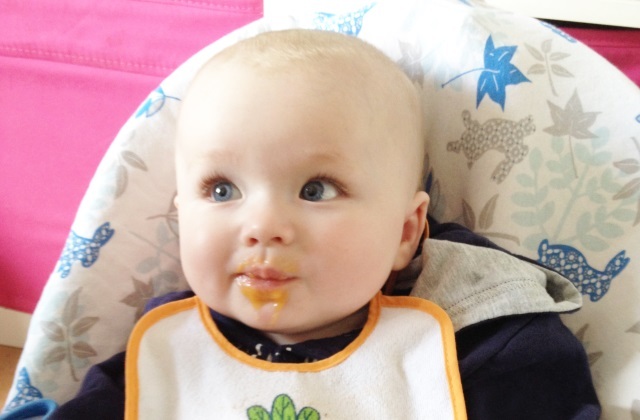 Tommy tried the 'Squashy Potato' for his dinner yesterday and had a little sample of the 'Banana Blue' for dessert. He made some funny faces at first because these were all new flavours to him (in fairness, food in general is all new to him!) but he made short work of the Squashy Potato, had a couple of spoonfuls of the Banana Blue - and I think that smile says it all about how much he enjoyed them! 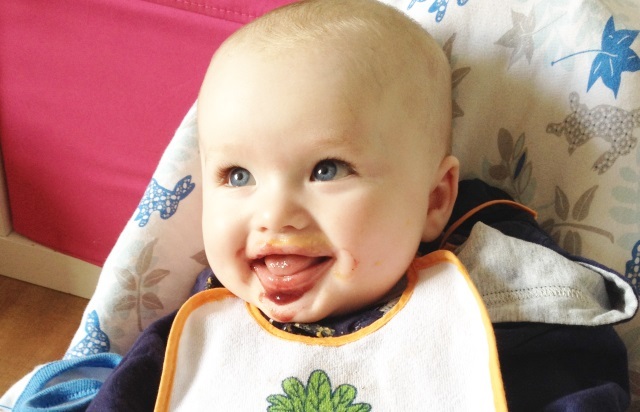 Elsie also tried a little of her brother's Banana Blue but she had the Stage 3, Baby Beef Ragu for her dinner, served with a pile of fluffy mashed potato. My sister said, served like that, there was more than enough for her in the pot and that that Elsie really enjoyed it. My sister and I were both very impressed with the lists of ingredients in all the products as there are absolutely no nasties in them at all. Pip and Pear Chilled Baby Food is the closest thing to homemade baby food I've ever seen on a supermarket (chiller) shelf. Each pot contains up to two of a child's 5-a-day fruit and veg portion. The meat, and fish are all food board approved and the fruit and veg are all organic. The whole range is also gluten free. 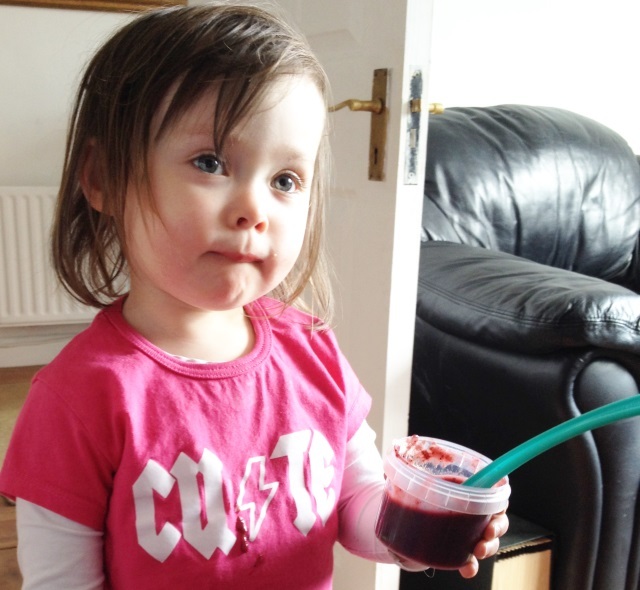 Even the packaging is 100% recyclable, BPA free and can be re-used when making and storing your own baby food. (Pip and Pear helpfully provide a range of suitable recipes here). The price range is spot on too - Stage 1 pots are €1.49 each, Stage 2 pots are €1.79 each and Stage 3 pots are €1.99 each. They are currently available in Aldi - in the chiller - NOT the baby aisle and from June will be available in 78 SuperValu stores nationwide. For more information about Pip and Pear please check out their WEBSITE or follow them on FACEBOOK and TWITTER. 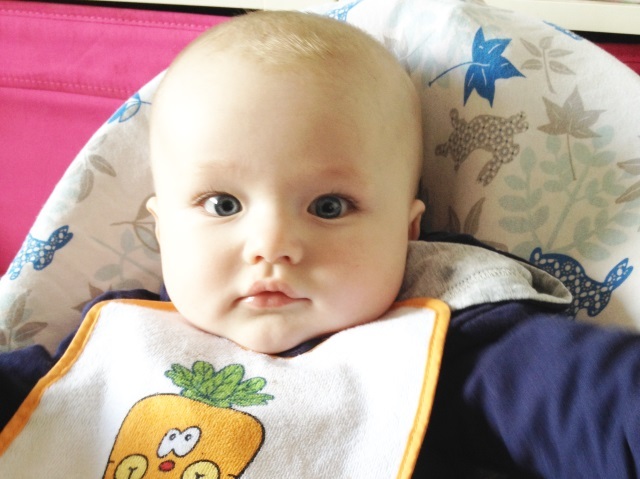 Disclosure: I was given a hamper of Pip and Pear Fresh Baby Foods for the purposes of review. All opinions are my own, and those of my beautiful family members and we were not paid to give them. I know! (I'm very biased but they are seriously the cutest ever babies!) 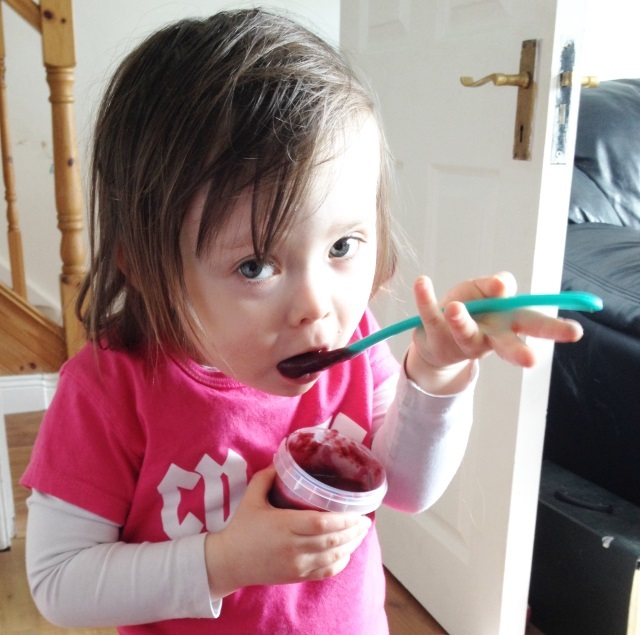 The stage one fruit pots are actually delicious and would be perfect with yoghurt and granola for brekkie - no babies required! !